Worldwide silver production increased in 2014 despite reduced demand across several industries. Here’s a look at the 10 countries that produced the most of the metal last year. This list is from 2015. Check out our updated list of the 10 top silver-producing countries. Worldwide silver production increased during 2014 despite reduced demand for the metal across several industries. Specifically, the US Geological Survey (USGS) states in its most recent report on silver that mine output rose to 26,100 metric tons (MT) last year. The USGS notes that the need for silver in photographic applications has been greatly reduced in recent years, and highlights declining interest in the metal from the jewelry and electronics industries. Despite those shifts, new uses for silver in medical applications and improving demand for the metal in other sectors could buoy future demand for silver. With those figures in mind, it’s worth looking at which countries produced the most of the white metal in 2014. Here’s a brief overview of the 10 top silver-producing countries of 2014. Mexican silver production dipped by 160 MT in 2014, but the country remained the world’s largest silver producer, mining 4,700 MT of the white metal. The country is home to one of the most productive silver-mining companies in the world, Fresnillo (LSE:FRES). Fresnillo mines silver and gold at six different projects throughout Mexico, and has several other mines in various states of development; it’s aiming to increase its silver production to more than 65 million ounces by 2018. Goldcorp (TSX:G) is the country’s other large producer, and its Peñasquito mine posted the second-highest silver production in 2013. Like many silver mines, Peñasquito is primarily a gold project. Silver is often coincident with other resources, and is regularly mined as a by-product. As of 2002, the Silver Institute ranked China as the world’s fourth-largest silver producer. Over the past 12 years, the country’s silver production has steadily increased, and it now produces just 500 MT fewer than Mexico, the world’s leader. The Silver Institute attributes a large part of this rise to China’s development in other mining operations — as of 2012, nearly 95 percent of Chinese silver production was a by-product of other mining projects. Silvercorp Metals (TSX:SVM,NYSE:SVM) bills itself as the largest primary silver producer in China. The company has two projects in the Asian nation, though one is currently in development. In addition to being the world’s third-biggest silver producer, Peru features the largest-known silver reserves, according to the USGS. With 98,900 known MT of silver, the country has a massive amount of untapped silver potential that could allow it to move up the rankings in the future. The majority of Peru’s silver comes from the Antamina mine in Northern Peru, according to Kitco News. The mine began as a joint venture between BHP Billiton (ASX:BHP,NYSE:BHP,LSE:BLT), Glencore (LSE:GLEN), Teck Resources (TSX:TCK.B,NYSE:TCK) and Mitsubishi (TSE:8058). While the mine produces more silver than any other in the country, it is primarily a copper mine, and silver is produced as a by-product. There’s a pronounced difference between the amount of silver produced by the top three global producers and the countries that fill in the rest of the top 10. Australia sits in fourth place and produced 1,900 MT of silver in 2014. Silver mining has a rich history in Australia, and BHP Billiton began as a silver-mining operation in the 1920s, according to the Australian Mines Atlas. Today, BHP Billiton is a multinational mining company with projects located around the world. It remains the largest silver producer in Australia, and operates the Cannington mine in Queensland, which produces more silver than any other project in the country. Russian silver production held steady last year at 1,700 MT. The country’s silver reserves are unknown, but it has remained on the top 10 list of silver producers for many years. The country’s largest silver producer is Polymetal International (LSE:POLY). Polymetal dominates silver mining in Russia and operates four of the top five silver mines in the country. While Bolivian silver output remained relatively consistent between 2013 and 2014, the mining industry has room to continue expanding. The country is home to several silver mines, particularly in the Potosi region, and Mining-Technology.com reported that the San Cristobal mine features the third-largest silver reserves of any mine. Mines in Chile churned out 1,200 MT of silver last year, and the future could bring a rise in production. The country’s Economic Development Agency recently announced a new program aimed at increasing the country’s mining production by raising energy efficiency and cutting costs. During the next three years, officials will discuss a plan that should increase the country’s competitiveness through 2035. Poland’s output matched Chile’s at 1,200 MT, showing no change from a year prior. Poland-based KGHM Polska Miedsz (WSE:KGH) is consistently one of the world’s top silver-producing companies, according to the Silver Institute, and the company could expand to become larger. The USGS places Poland in a tie with Australia for the world’s second-largest silver reserves. The US features three dedicated silver mines and procures small amounts of silver from a variety of other projects. Production rose by 130 MT during 2014, hitting 1,170 MT overall. Alaska and Nevada produce more silver than the nation’s other states. The largest US-based primary silver producer is Coeur Mining (NYSE:CDE). Coeur maintains projects in the US alongside other silver mines in South America and Australia. While Canada is home to Silvercorp and several other silver miners, it does not produce an enormous amount of silver annually. Canadian companies generally maintain projects in countries with more robust silver production. There are significant silver deposits in British Columbia, according to government reports, but the highest-quality metal comes from polymetallic veins that do not necessarily target silver specifically. Silver mining is widespread among countries around the world, from South America to Asia and Africa. The white metal finds value as both a precious — used to make jewelry and coins — and industrial metal — used in cellphones and solar panels. What some investors might find interesting is that silver is produced by and large as a by-product of metal, mined alongside other commodities like copper, lead and zinc, rather than coming from primary silver production. Global silver production increased to 787 million ounces in 2012, according to the Silver Institute. Below are the 10 countries with the greatest production that year. Silver production in Mexico increased 6 percent in 2012, up from 153 million ounces in 2011. The country has been a major producer of the precious metal for centuries. 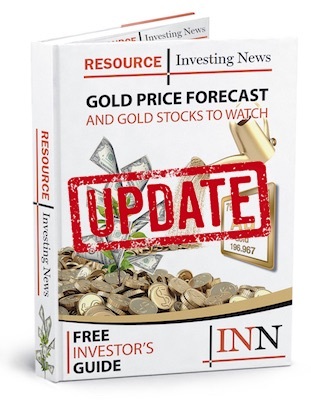 Mexico-based precious metals company Fresnillo (LSE:FRES) is the largest primary silver producer in the world, according to its website. With seven assets currently in operation, the company’s total proven and probable reserves is 497.96 million ounces. However, according to Forbes, Goldcorp’s (NYSE:GG) Penasquito mine was vital in growing the country’s overall production in 2012. On that property, silver is mined as a by-product of gold, lead and zinc. Goldcorp expects its silver production to reach as much as 21 million ounces in 2013. In 2012, China surpassed Peru to become the second-largest producer of silver in the world. According to Kitco, the former’s production grew from 104 million ounces the year prior. Despite slight changes in its position over the years, China has always been a top producer of the precious metal. Silvercorp Metals (NYSE:SVM) is a Canadian mining company with multiple mines in China. According to its website, in fiscal 2012 it saw a silver production of 5.6 million ounces. Peru was pushed out of its second-place spot by China in 2012, but it still remains at the top of global silver production. In 2011, Peru produced 110 million ounces of the precious metal. The South American country still has the largest in-ground reserves of silver in the world, at 120,000 tons, according to the US Geological Survey. The Antamina mine in north-central Peru is one of the greatest silver producers in the world. Its primary operator is Compania Minera Antamina , and its silver production as of Dec. 31, 2012 was 12 million ounces. Like Peru, Australia also has sizable silver reserves of 69,000 tons. According to Geoscience​ Australia, most of the country’s supply of the metal comes from the silver-bearing lead mineral galena. In 2012, Australia’s multinational mining and petroleum company BHP Billiton (NYSE:BHP,ASX:BHP,LSE:BLT) saw a silver output of 39 million ounces, making it the second-largest silver-producing organization that year. Along with China and Mexico, Russia was responsible for much of the global increase of silver supply in 2012. Polymetal International (LSE:POLY) is the country’s greatest producer of the metal. In 2012, its output was 26.5 million ounces, according to the Silver Institute. Poland is home to the largest silver-producing company in the world, KGHM Polska Miedz (OTCMKTS:KGHPF). In 2012, KGHM’s output reached 41 million ounces. Poland overall contains the second-largest silver reserves in the world, at 85,000 tons, as per the US Geological Survey. Bolivia hosts 22,000 tons of silver. Most of the nation’s supply of the commodity is found in conjunction with tin. Sumitomo (TSE:8053) is the primary silver company in Bolivia, with an output of 13, million ounces in 2012. Its subsidiary, Minera San Cristobal, operates the San Cristobal silver mine, which is a top-producing asset. The South American country saw one of the biggest declines in silver production during 2012, according to Neil Meader, head of precious metals research and forecasts at Reuters. When combined with the United States, the two nations lost 7.4 million ounces of production of the metal last year. Chile’s total silver reserves are 70,000 tons, the third largest in the world. As mentioned, silver output in the United States dropped in 2012. The country has 25,000 tons of the precious metal. Coeur d’Alene Mines (NYSE:CDE) is the largest primary silver producer in the United States and had the ninth greatest output in 2012, with 18, million ounces. Argentina’s silver reserves are too small to be reported by the US Geological Survey, but in 2012 its Pirquitas mine, operated by Silver Standard Resources (TSX:SSO), had the fifth largest production of all global assets, at 8.6 million ounces.